Enter Marketing and Bonus Codes while Signing Up to get your 100% Deposit Bonus Up to $600. Pokerstars is the 800 pound gorilla of the online poker world. The company is far and away the biggest online poker room in the world, and it's not even close. They are 2 1/2 times the size of their closest competitor. 1. Outstanding customer service. The company has legendary customer service reps who are far and away the best (and most responsive) in the business. 2. They still service American customers. Other poker rooms pulled out of the United States after the UIGEA was introduced - Pokerstars stayed the course and ended up reaping the rewards. 3. An extremely easy to earn introductory bonus. 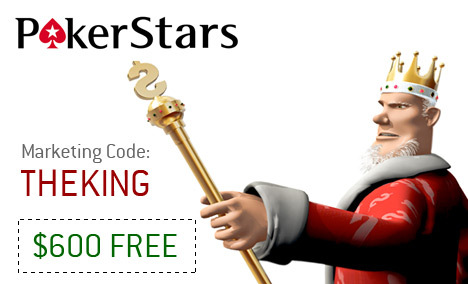 Pokerstars offers up a 100% sign-up bonus of up to $600. Unlike other rooms, Pokerstars gives their customers SIX months to fully earn the bonus. Other rooms restrict the bonus offer to three months, leaving many customers to forfeit unearned portions of their bonus. Pokerstars gives their customers six months, which is generally more than enough time to earn the bonus, even for a weekend, microstakes player. This bonus is only available to NEW depositors on the site. If you have already deposited, then you will have to wait for one of Pokerstars' reload bonuses that they offer from time to time. 1. 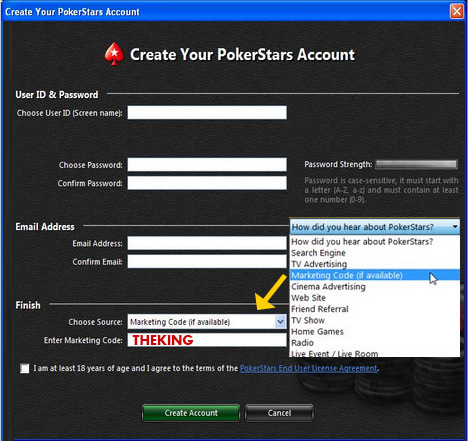 Enter THEKING when prompted for a Pokerstars Marketing Code during the sign-up process. 2. Enter STARS600 when depositing for the first time. You will notice a "bonus code" box under the field to enter your payment details when you are depositing for the first time. This code is good for all of 2019. Once you have completed these two steps, your six months will begin and you can start earning your bonus. Note: This is a matching bonus of up to $600. In order to qualify for the maximum bonus of $600, you need to initially deposit at least $600. If you deposit just $25, then you will only be eligible for a $25 bonus. Keep this in mind while depositing. Earning your bonus is simple. You simply need to earn 10x the number of base FPPs relative to your bonus amount to receive your bonus. So if you are eligible for a $25 bonus, then you would need to earn 250 base FPPs. If you are eligible for a $600 bonus, then you would need to earn 500 base FPPs. "Earning" your bonus can be accomplished by participating in real-money cash games, SNGs or MTTs. For each hand that you participate in at a real-money cash game table, you earn FPPs. 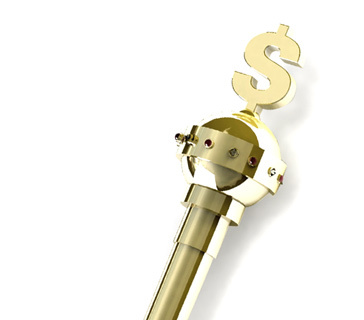 For every dollar in tournament or SNG fees that you pay, you earn FPPs. The more that you play, the faster that you will earn your Pokerstars bonus. Pokerstars makes it extremely easy to earn their introductory bonus. I am not aware of any other room that gives their customers six months to fully earn the initial sign-up bonus. Just another reason why Pokerstars is the undisputed leader of the industry.